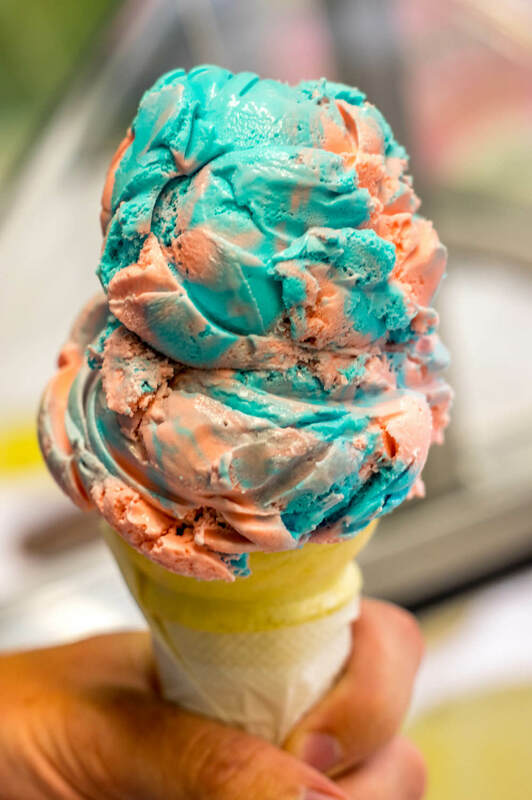 Sign up below for the Sprinkles Scoop for upcoming live events, new flavors, and even secret codes you can use to score awesome deals for things like free ice cream, discounts, and more! 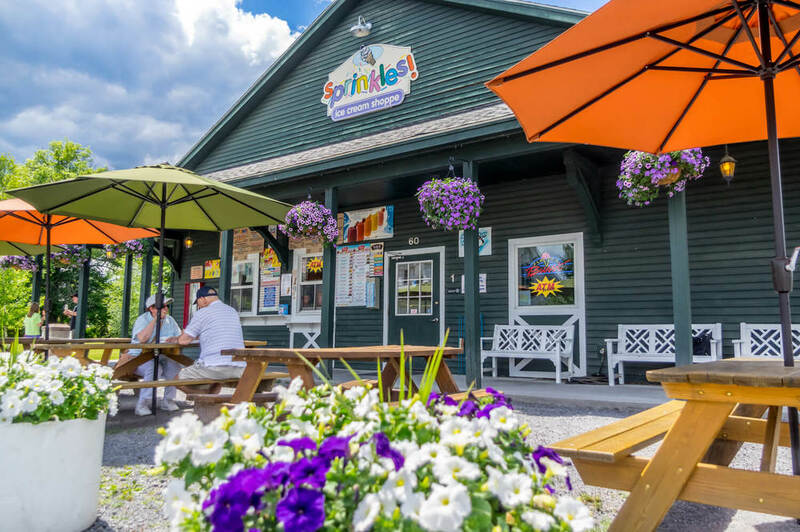 Proudly owned and operated by the Mikutel family of Glens Falls, NY, Sprinkles Ice Cream Shoppe was founded in 2005. 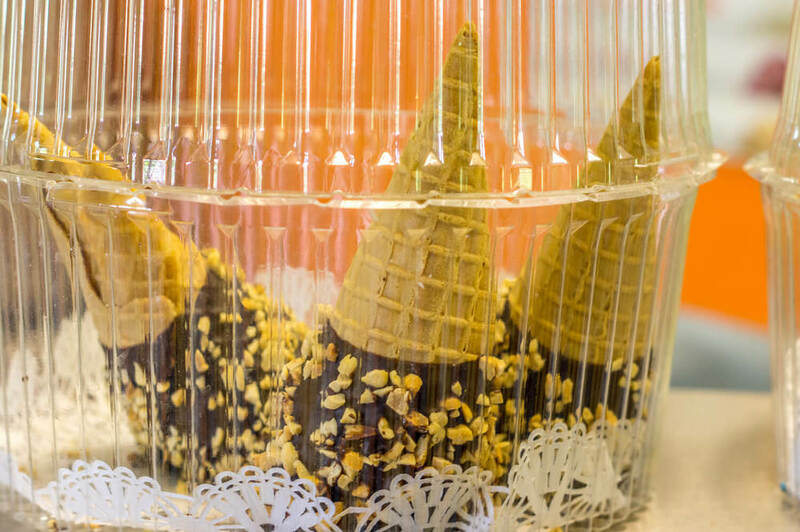 Sprinkles offers both indoor & outdoor seating to make your ice cream experience more enjoyable! 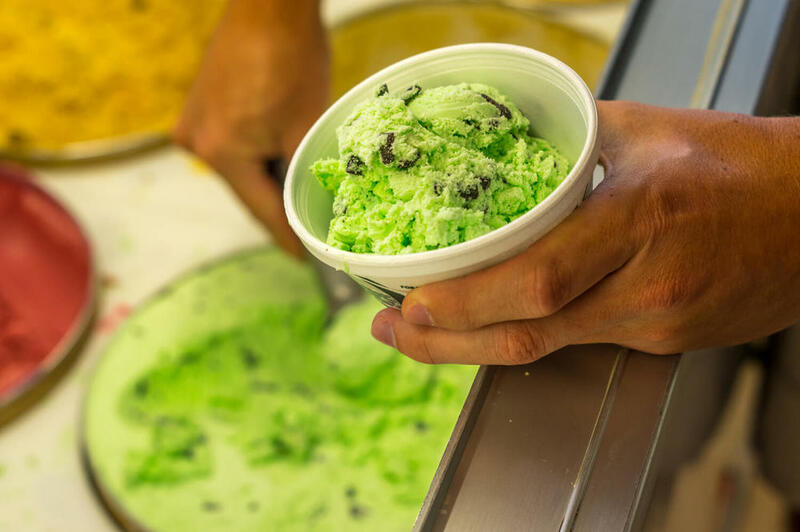 Located at the foothills of the beautiful Adirondack mountains in Queensbury, NY, directly next to the Warren County Bike Trail and historic Glenwood Manor, there is plenty to see and do while you enjoy your ice cream! Children love Sprinkles. With plenty of open space to play, the "magic mirror" and Sprinkles Express wooden train, it's easy to see why! Sprinkles offers over 32 flavors of Edy's, Perry's, and Häagen-Dazs hard scoop ice cream. We can hand pack pints for you as well to take home for any occasion. 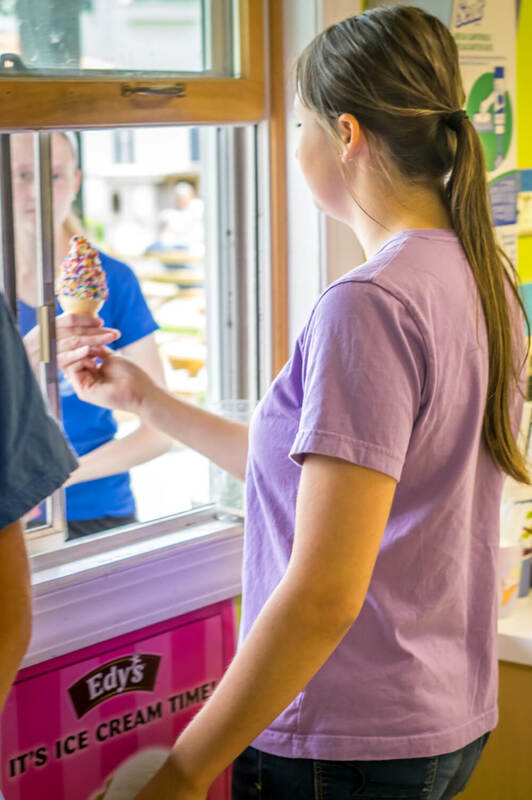 Sprinkles offers a variety of soft serve ice cream flavors, all made in house, fresh for you, every single day. We'll literally love you forever if you become our friend on Facebook, Twitter and Instagram. And everyone wants to be loved, right? dipped in chocolate and covered in nuts or sprinkles. Even better, try out our homemade belgian waffle sundaes. We have more sprinkles than you can imagine! 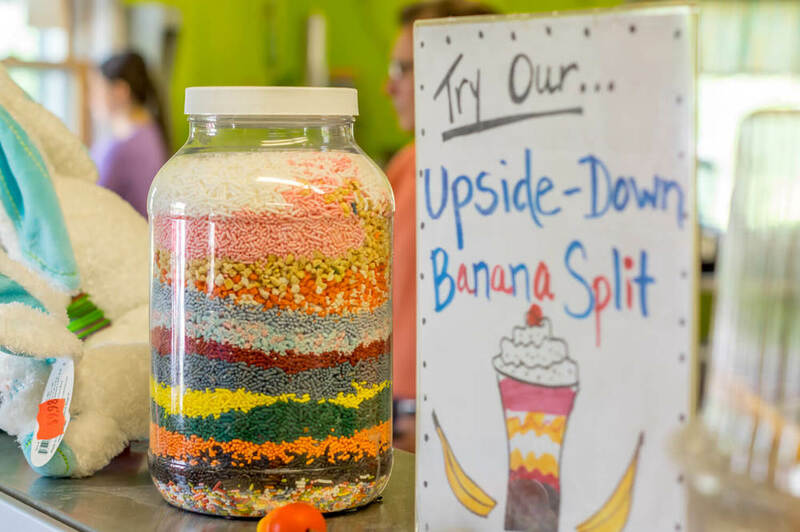 In addition to other tasty toppings like hot fudge, hot caramel, fresh bananas, marshmallow, peanut butter, strawberries, raspberry sauce, pineapple, butterscotch, chocolate sauce, and wet walnuts! Co-founders and owners, Lorraine & Gary Mikutel created Sprinkles in 2005 with the help of their daughter, Gretta and son, Ian. Gretta came up with the name "Sprinkles" after Ian's suggestion for "The Krusty Kone" (a SpongeBob SquarePants reference) was vetoed within the family. 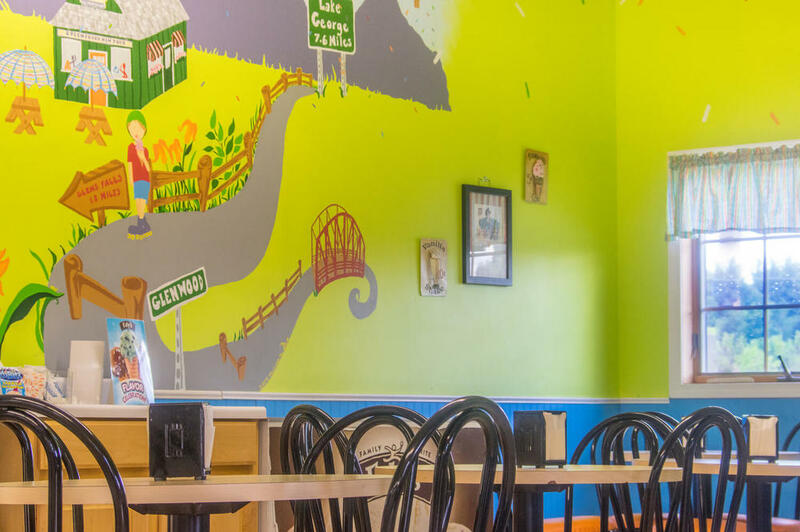 Ian did help come up with the bright and cheerful color scheme though, and for the past 10 years, people of all ages have been coming to Sprinkles and enjoying tasty treats with their family, friends and loved ones. Sign up with your email address to receive secret deals.